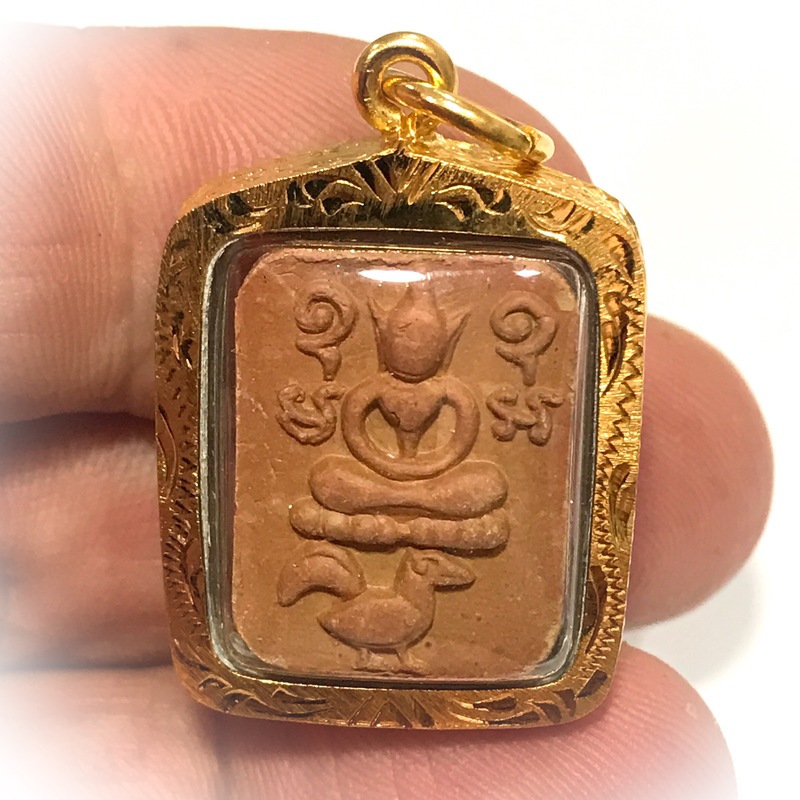 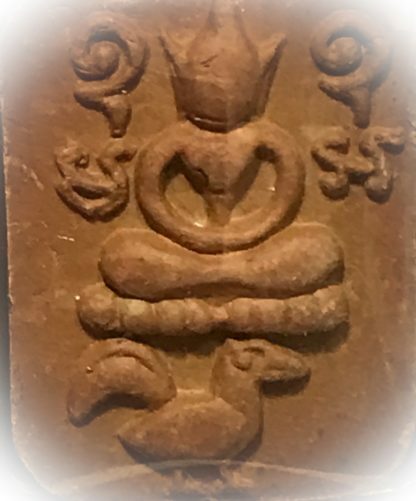 Pra Putta Jao Pratap Sadtw Buddha Riding Animal amulet ‘Pim Khee Gao Hang Puang Thaan Bua Chan Diaw’ (single layer lotus dais Buddha riding on Cockerel with Bunched Tail. 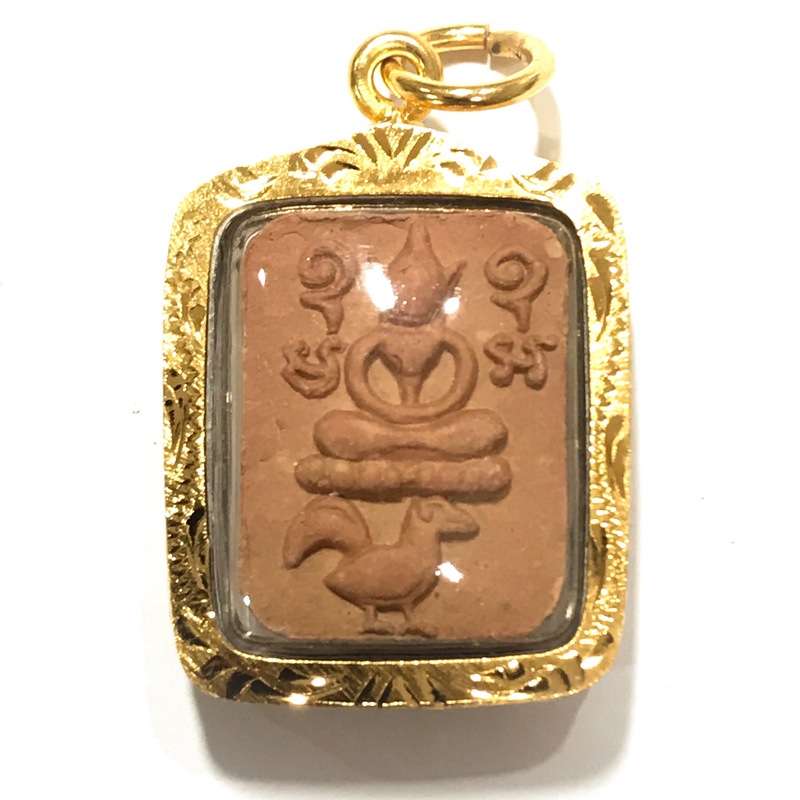 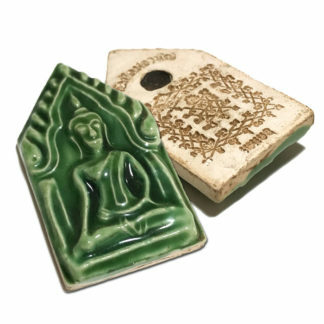 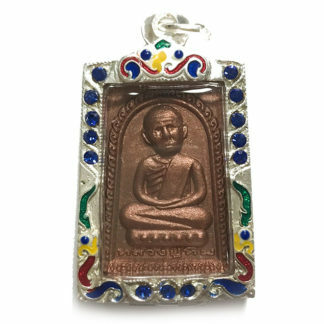 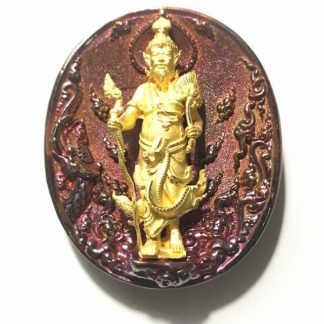 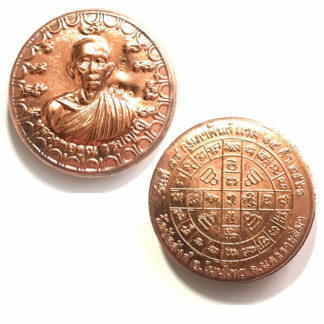 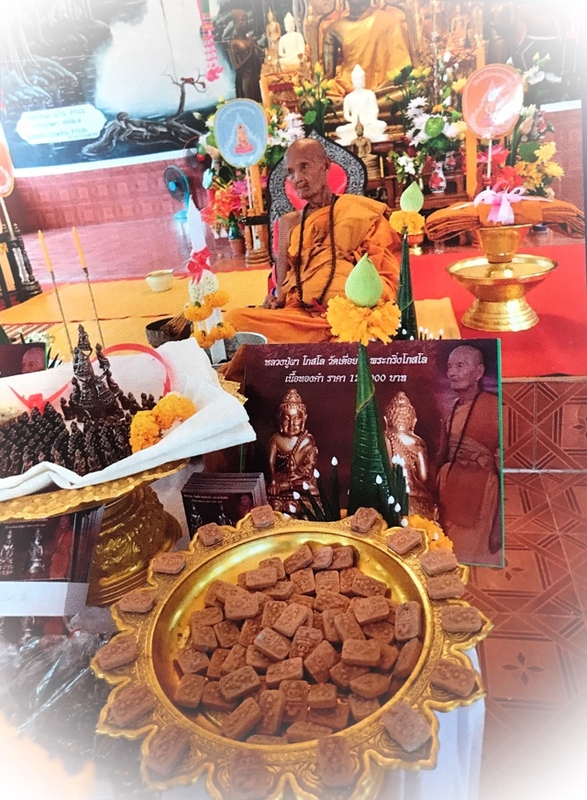 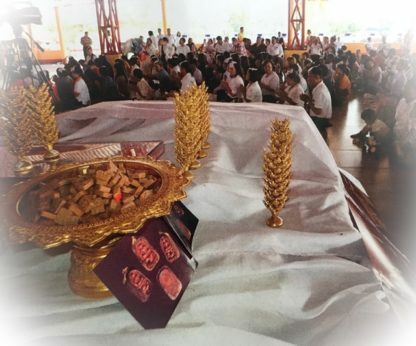 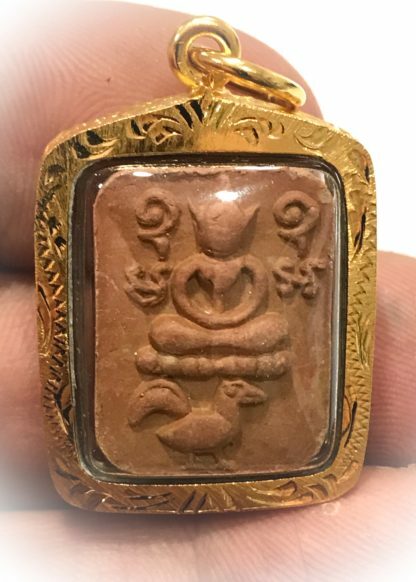 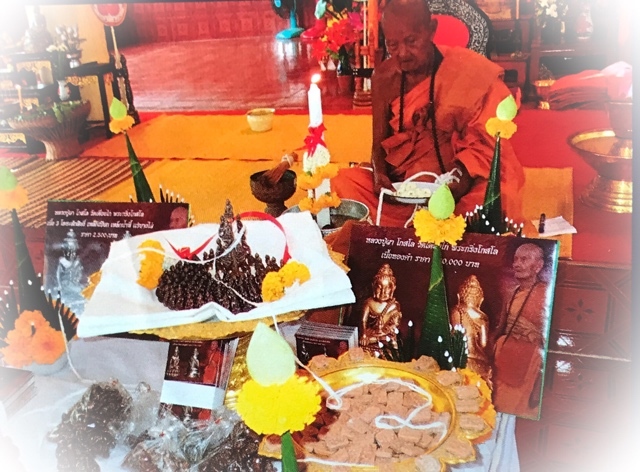 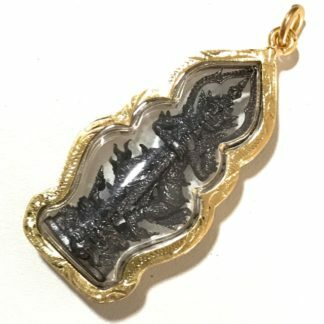 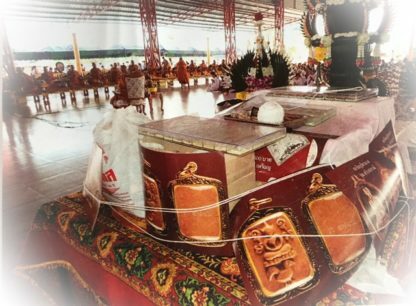 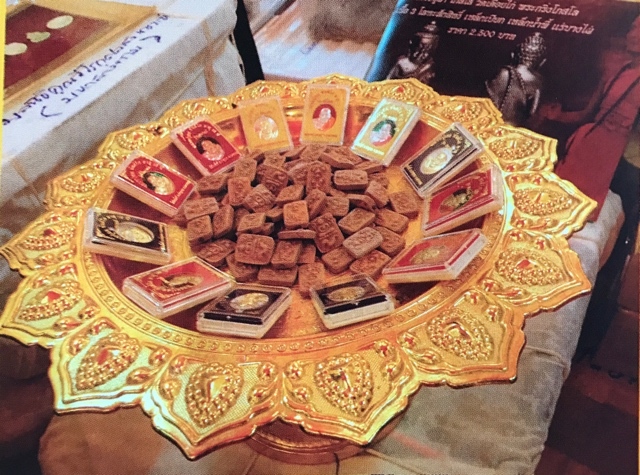 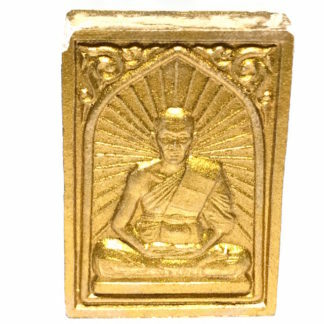 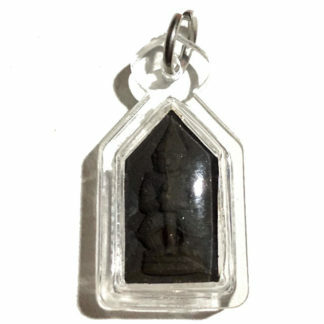 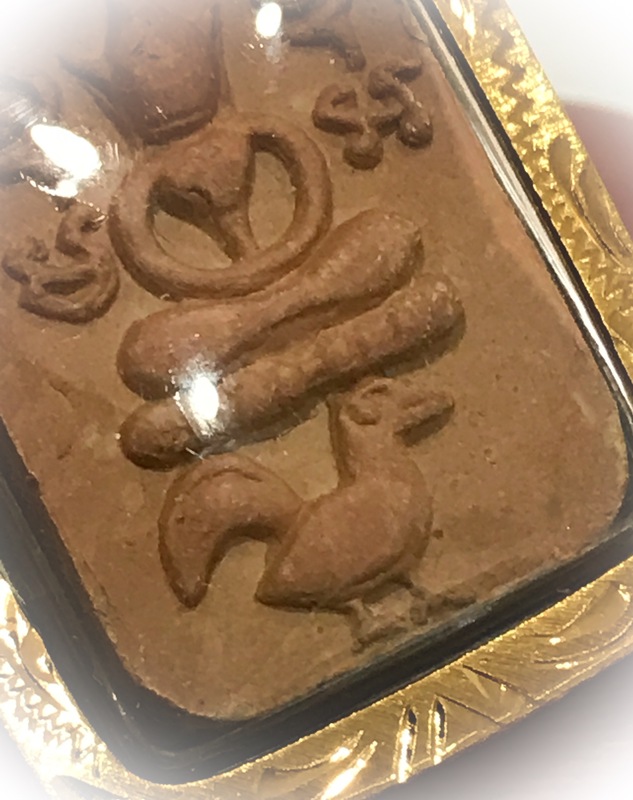 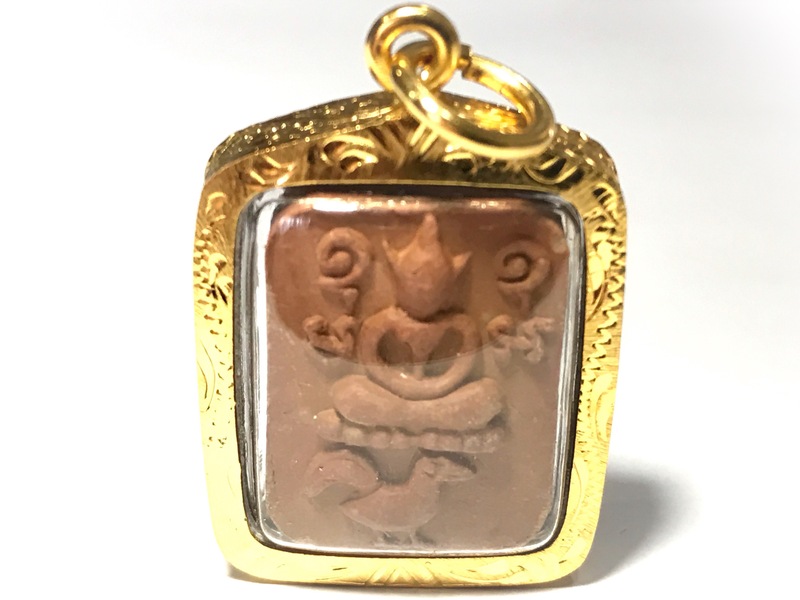 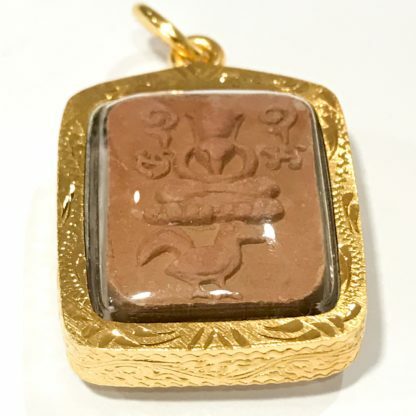 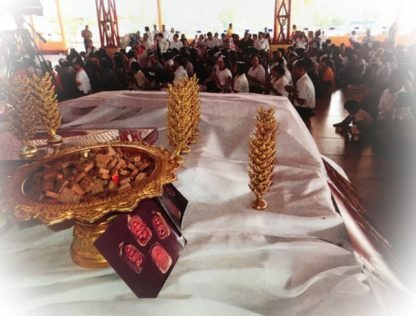 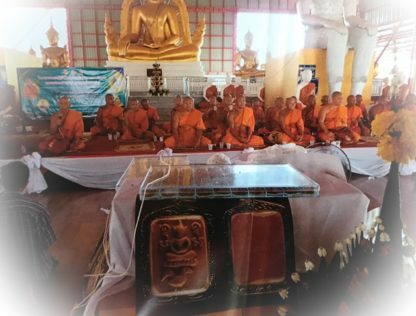 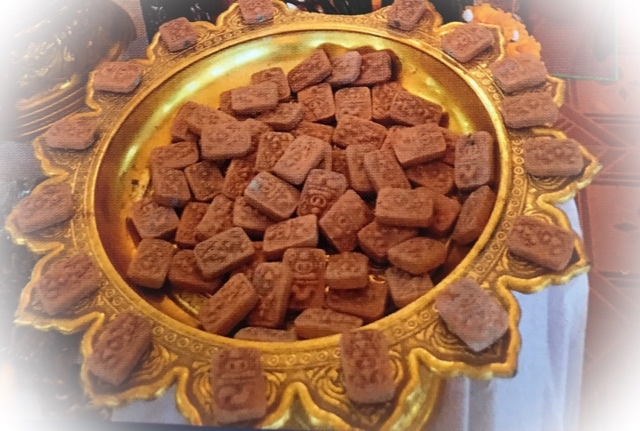 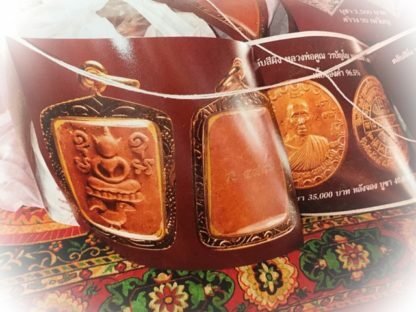 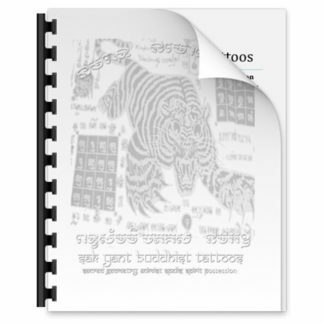 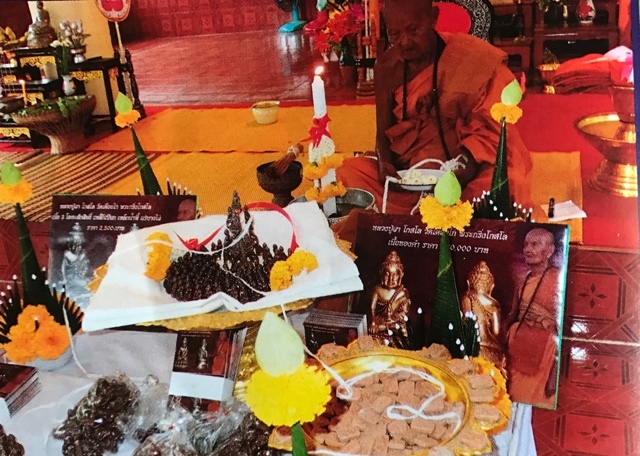 The amulet was made using 108 types of Sacred Muan Sarn Powders, and is designed in the form of one of the five Major models of Buddha riding animals amulets of the Great Luang Por Parn (Wat Bang Nom Kho). 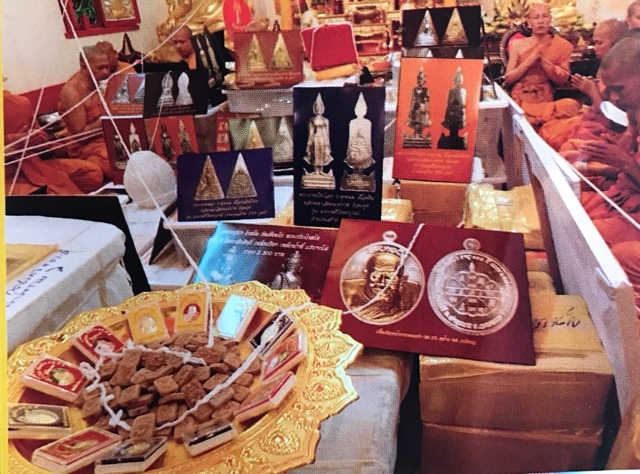 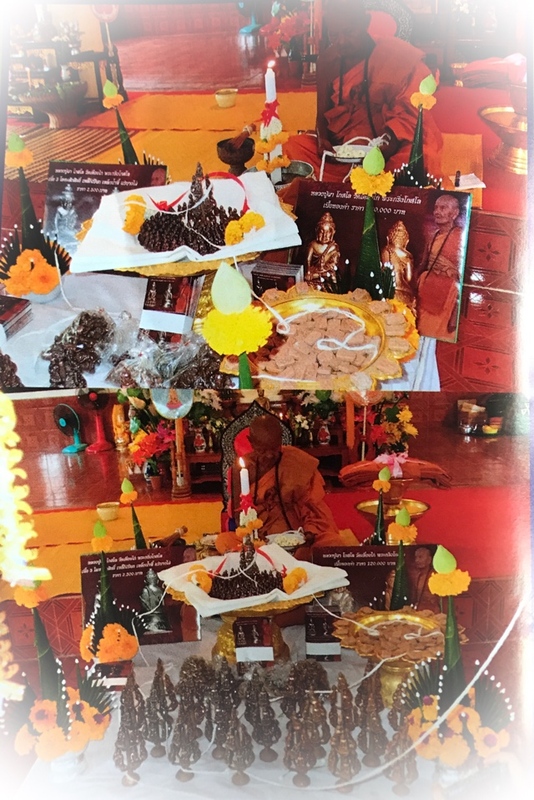 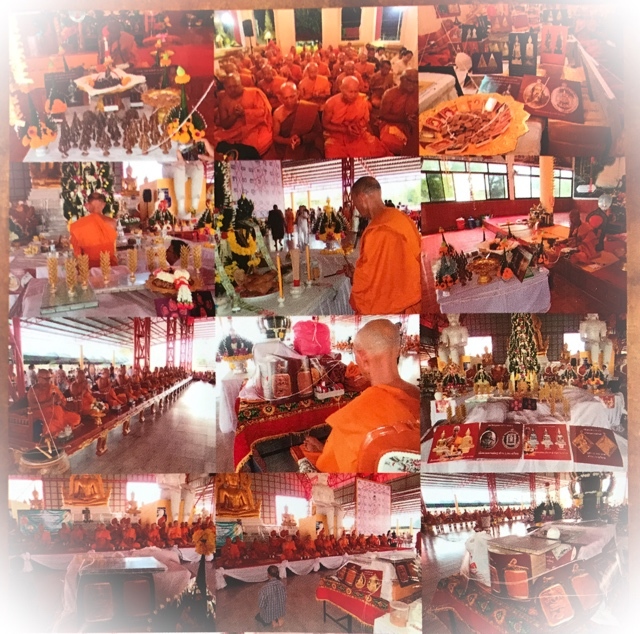 The amulets were Blessed along with other amulets in this series, by great master monks in 4 different ceremonies including one special ceremony at the Sacred relic Stupa at Wat Pra That Phanom in Nakhon Phanom with 88 Monks present to perform chanting, One at Wat Dueay Gai with Luang Phu Pha Gesaro, and a special ritual ceremony dedicated to the empowerment of the Wicha Yant Grao Paetch Diamond Armour Yantra spell of Luang Por Parn, at Wat Ballank with Luang Por Koon Worabanyo, and final Ceremony was performed at Wat Balllangk once more with 32 other Master present to empower, and presided over by Pra Kroo Prachote Bunyakorn (Luang Por Koon Worabanyo), Abbot of Wat Ballangk and Bishop of the Municipality. 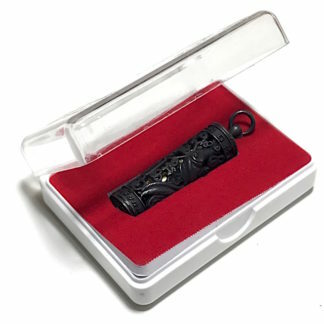 The amulet comes with gold plated micron waterproof casing included in the price. 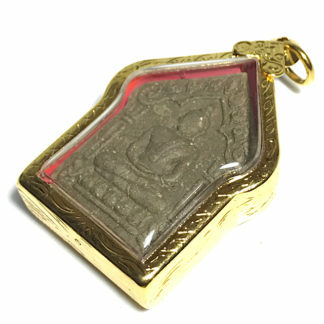 The front face of the amulet features a Buddha seated on a single tiered Lotus petal dais, with the Kata Ma A U-U surrounding the Buddha either side, and a Cockerel standing underneath the Lotus dais and the Buddha. 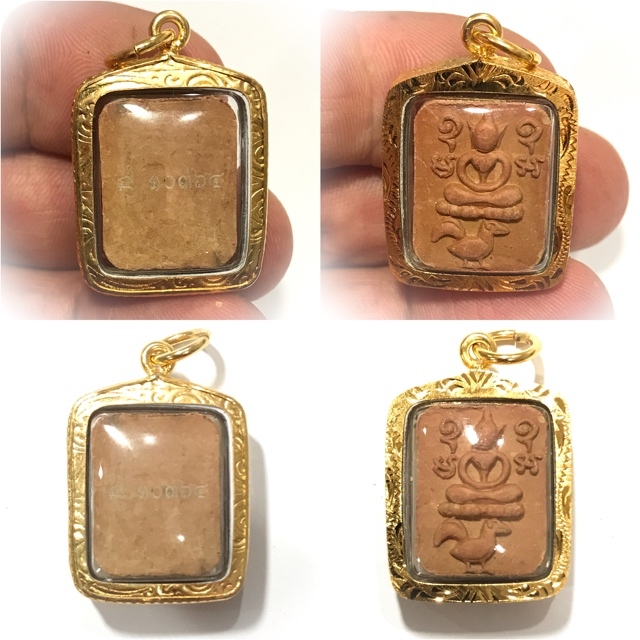 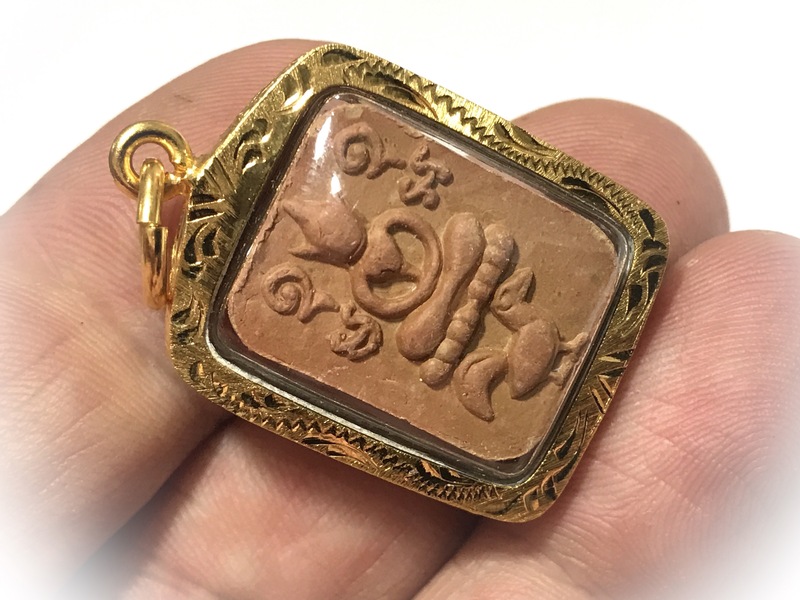 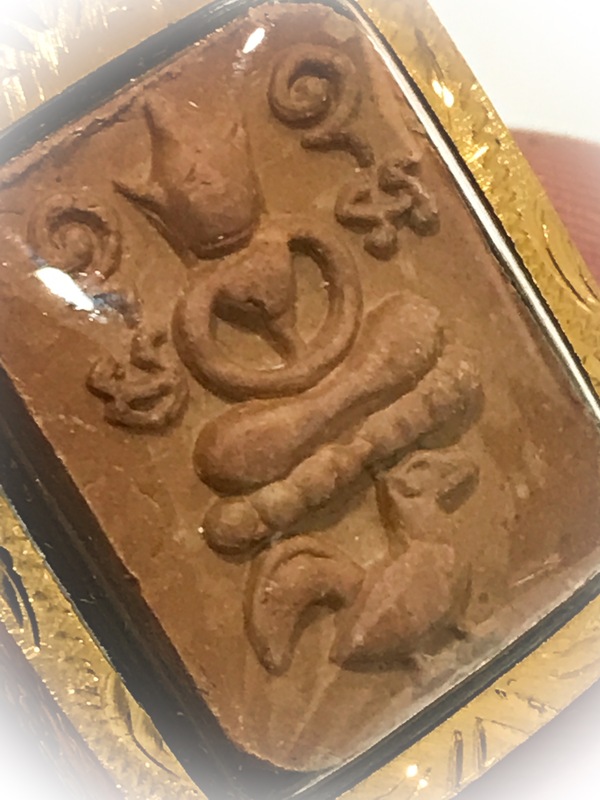 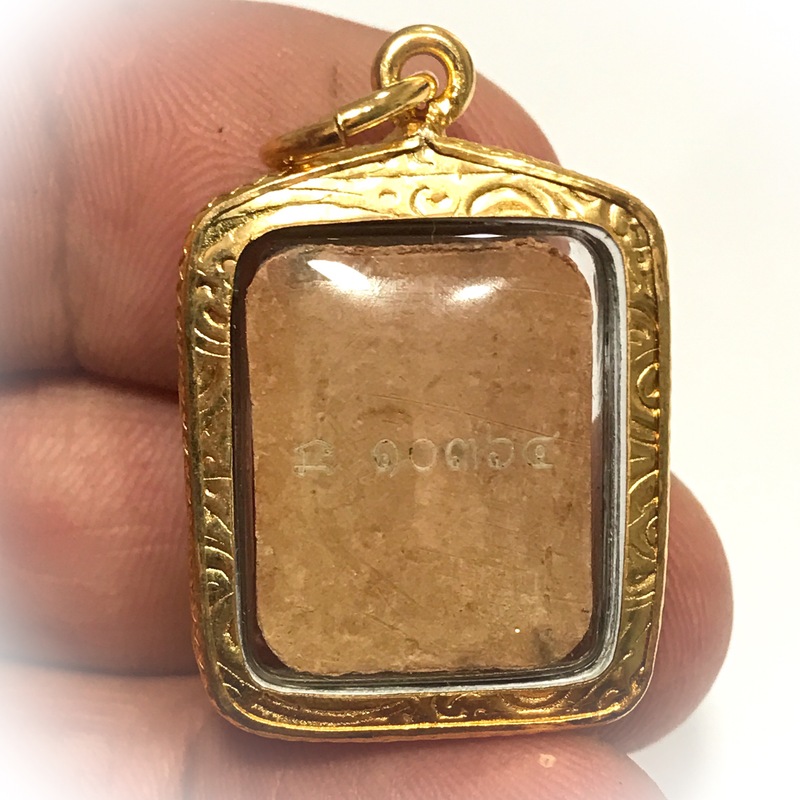 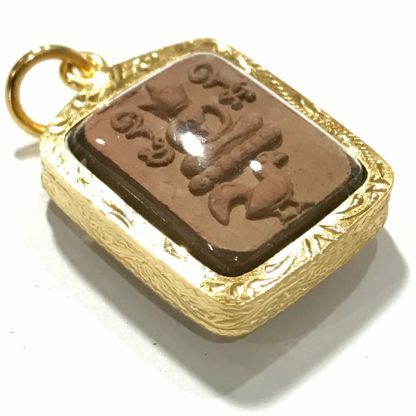 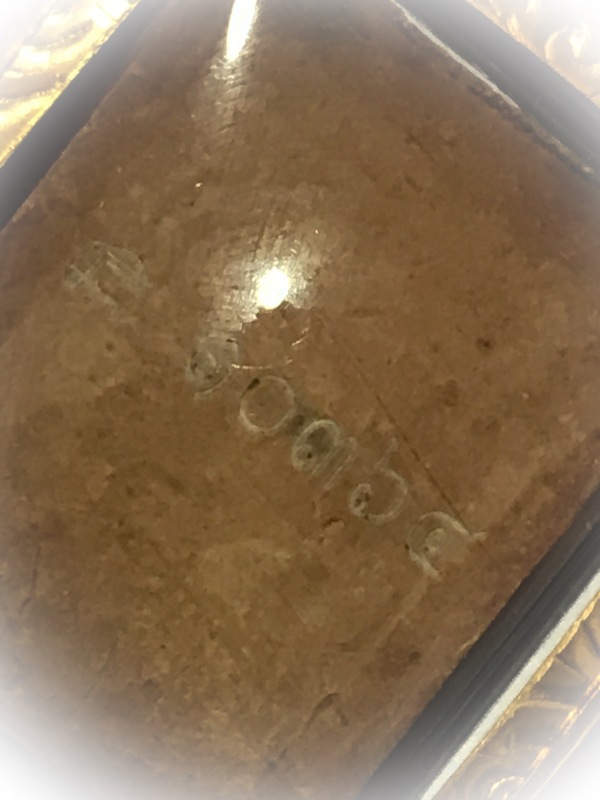 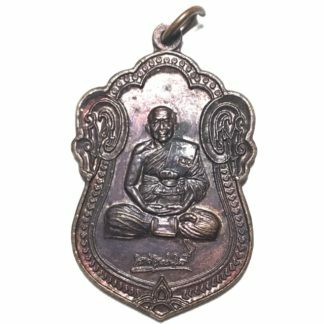 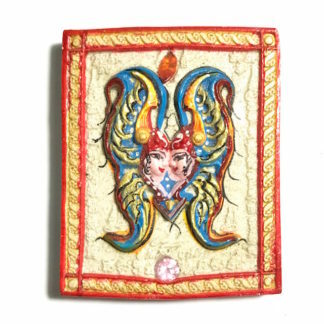 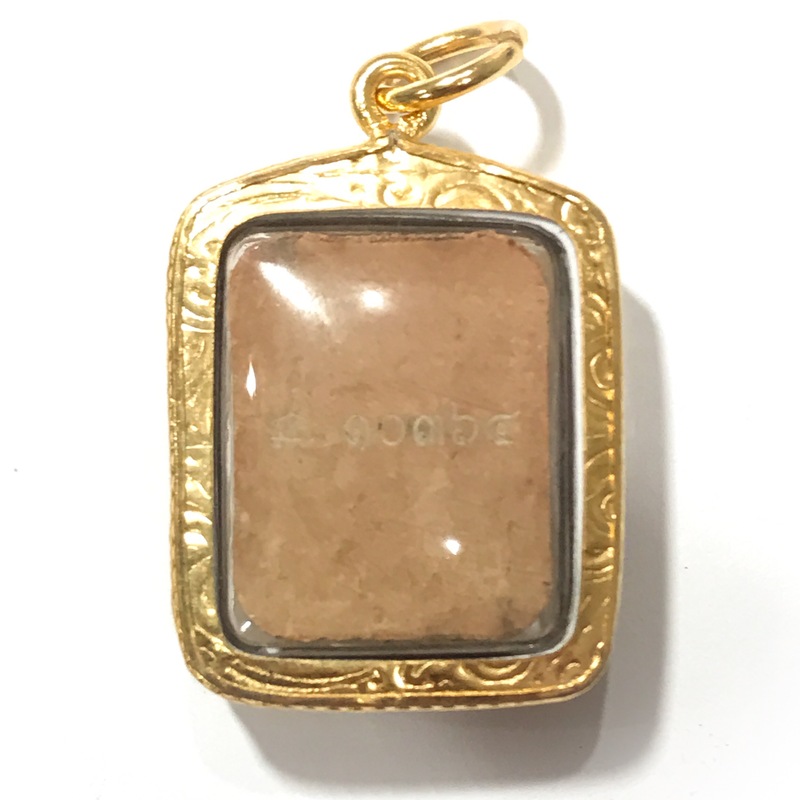 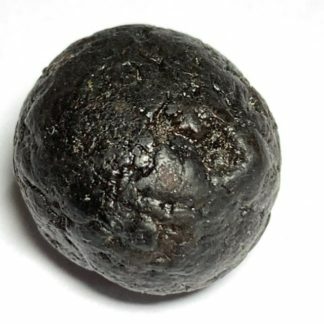 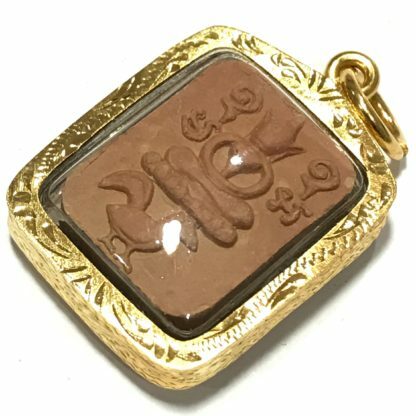 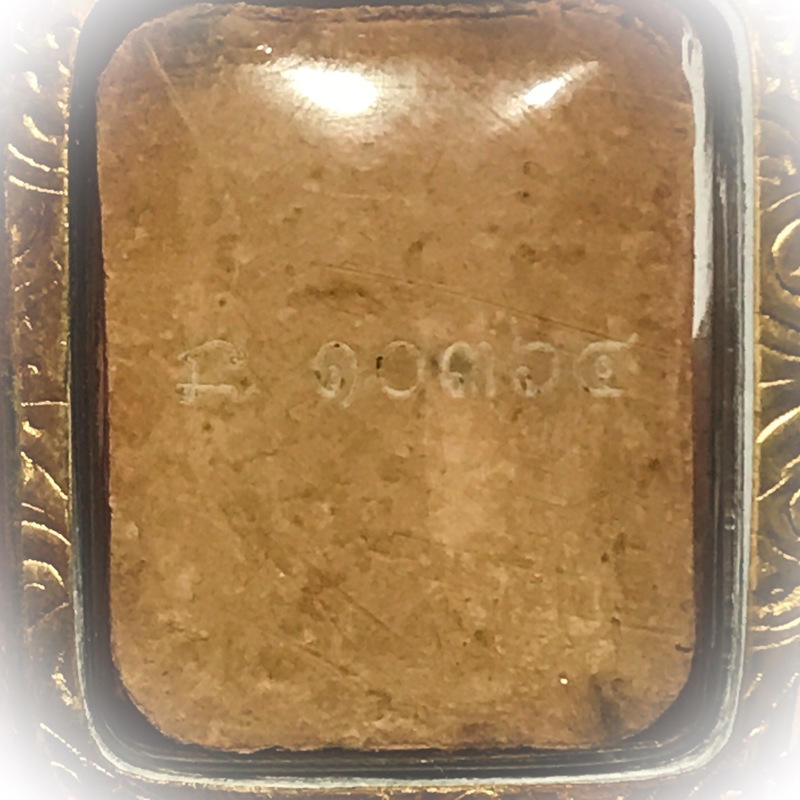 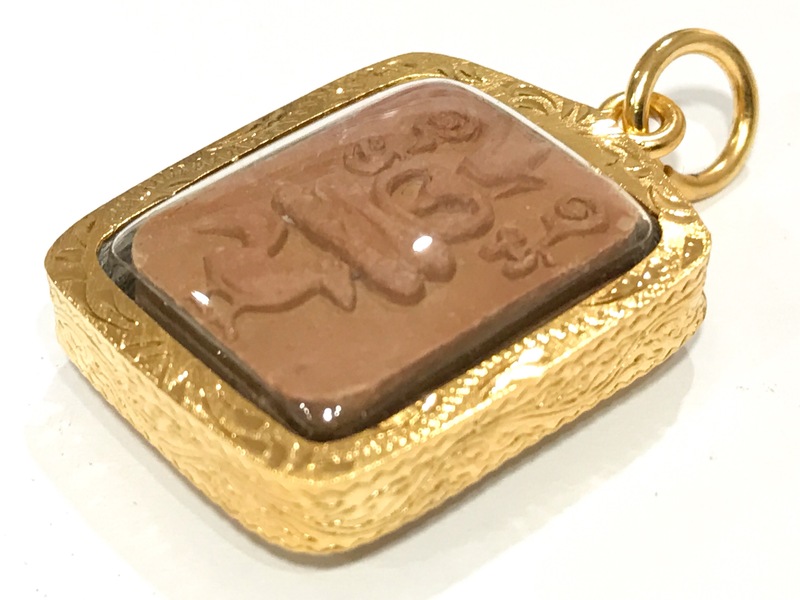 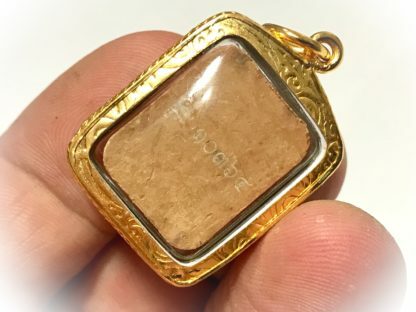 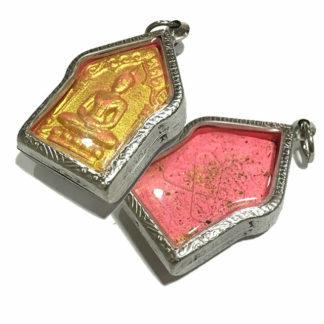 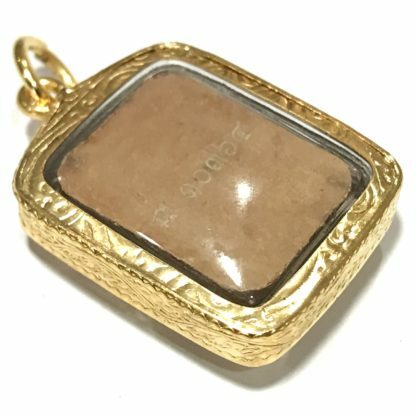 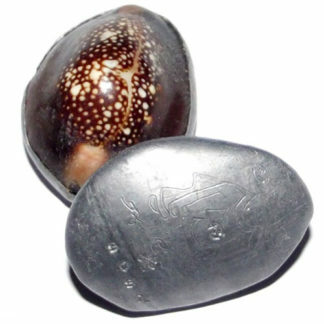 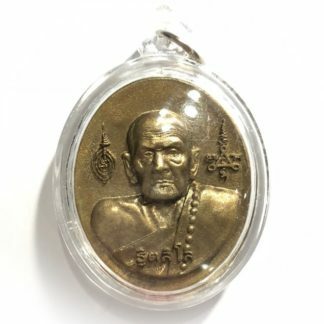 The rear face of each amulet has a different series code number and the Sacred Khom Agkhara letter NA authenticity code embossed on the surface of the amulet. Wat Phra That Phanom is the sacred precinct of the Phra That Phanom chedi, located in the district of the same name, in the southern part of Nakhon Phanom Province, northeastern Thailand. 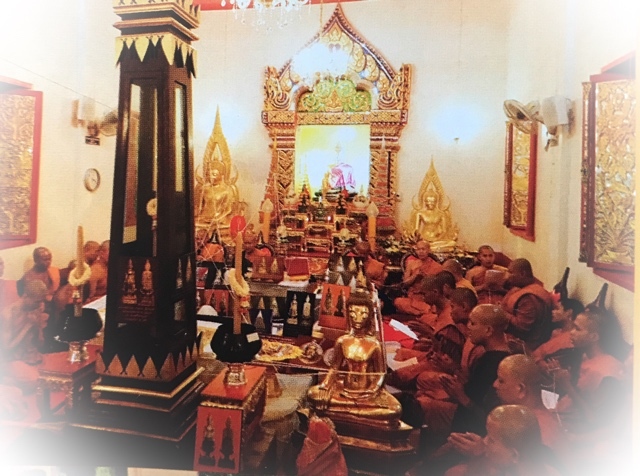 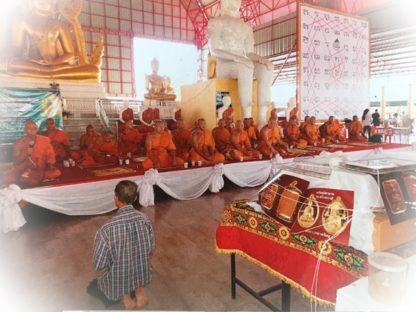 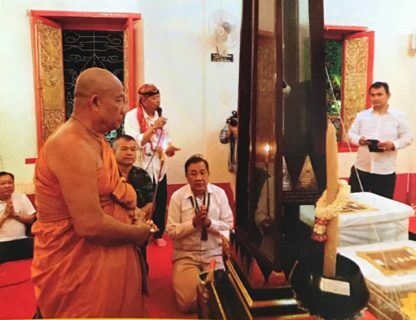 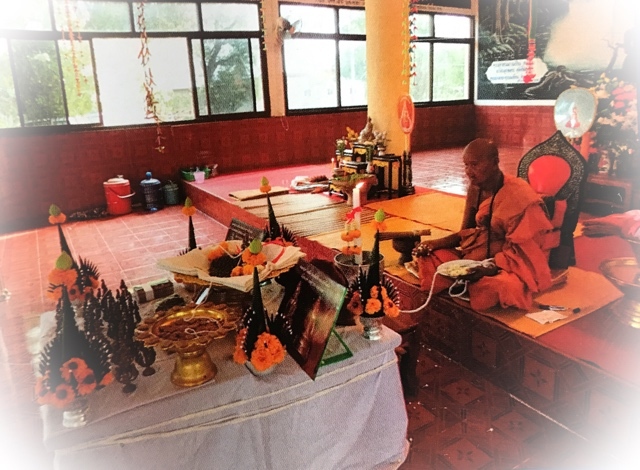 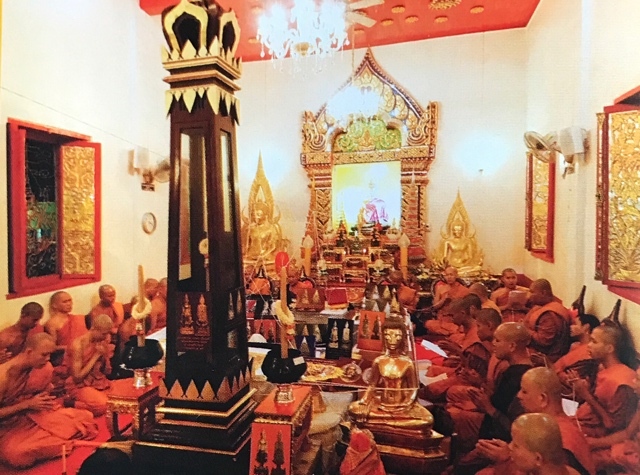 According to legend, this structure contains The Buddha’s breast bone, and as such, it is one of the most important Theravada Buddhist structures in the region. It was originally built in the 16th century by the Laotian King Setthathirath of Lan Xang. 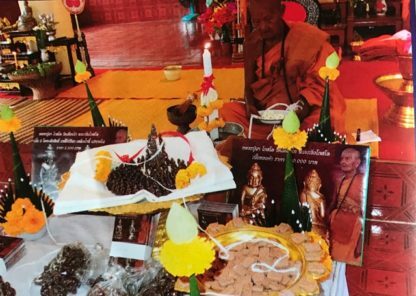 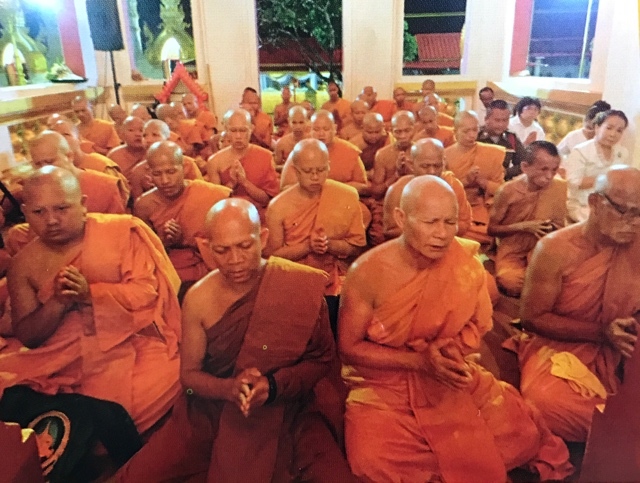 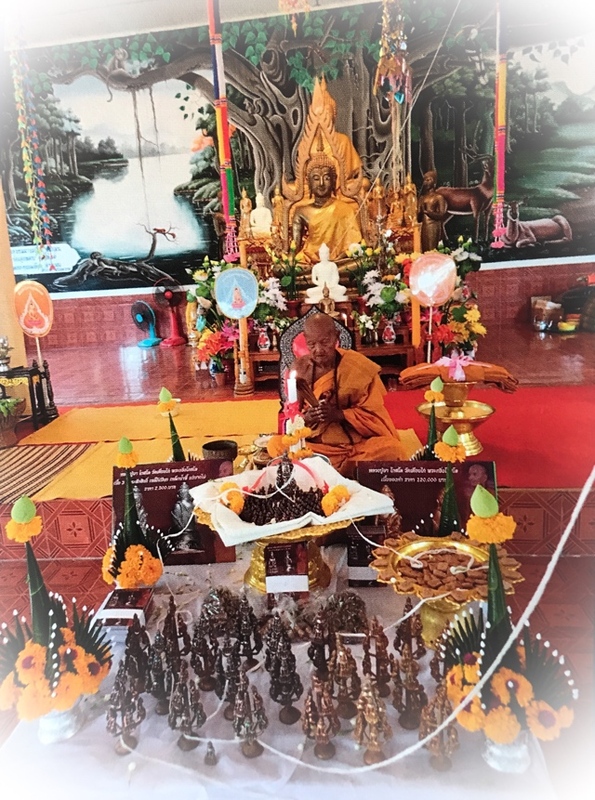 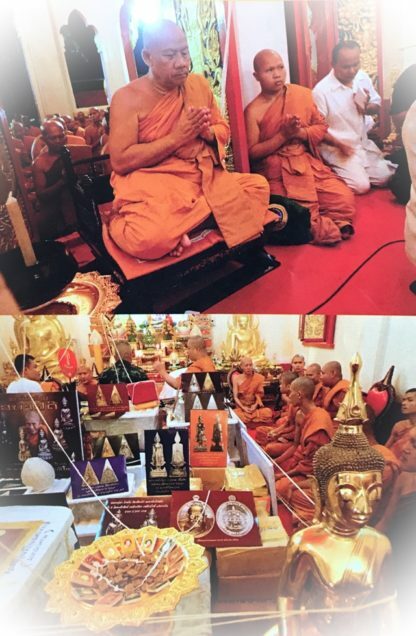 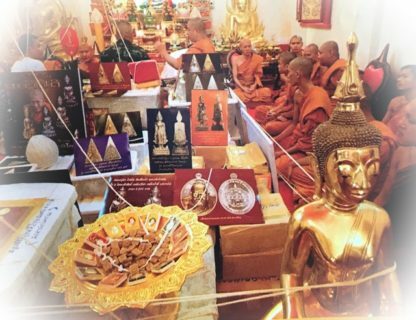 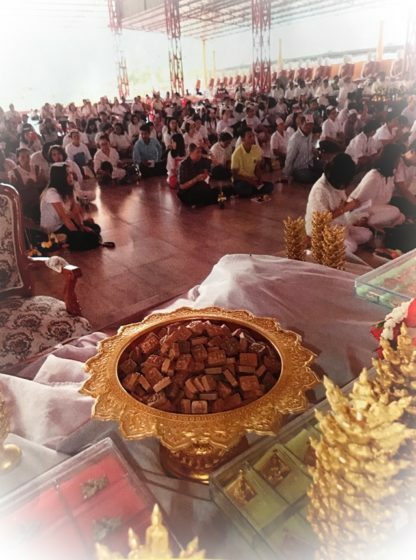 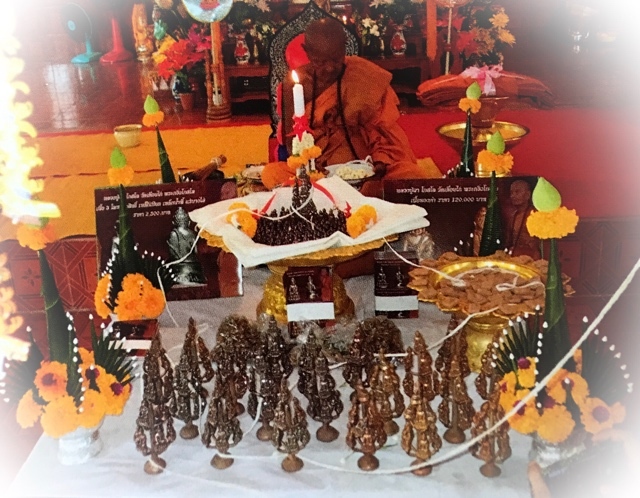 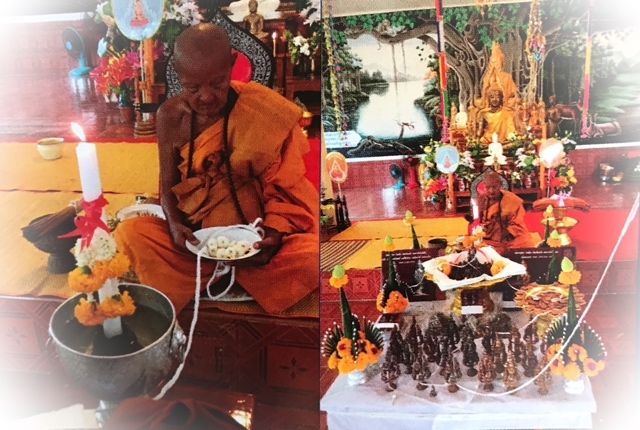 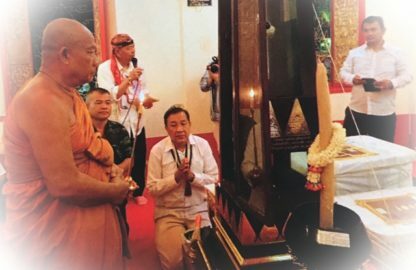 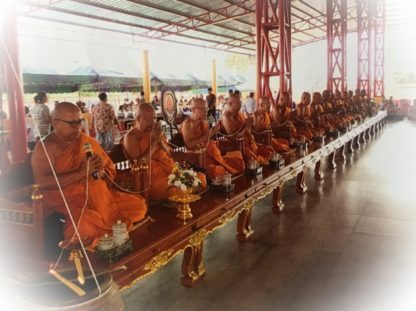 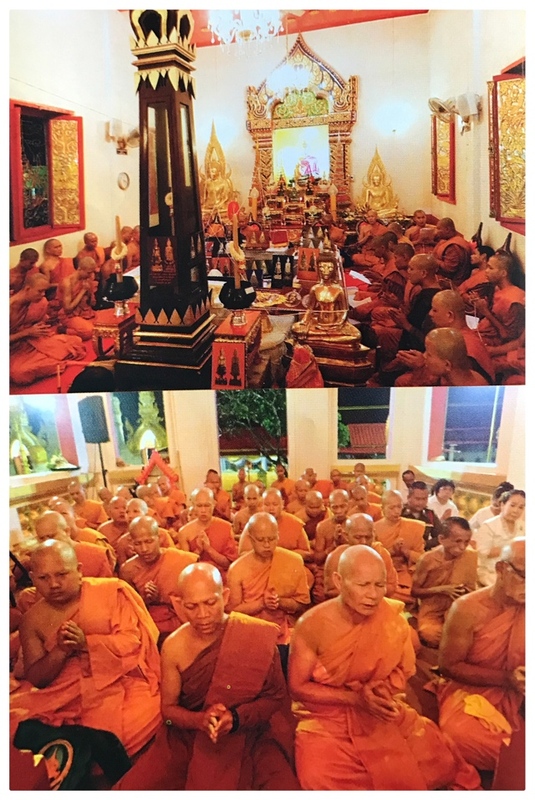 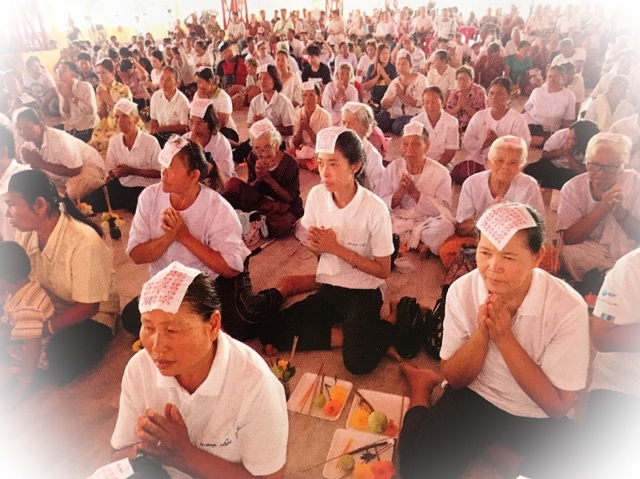 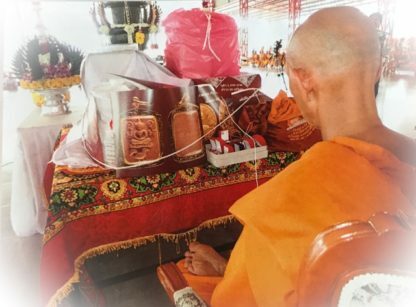 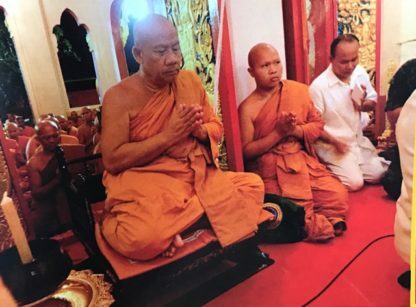 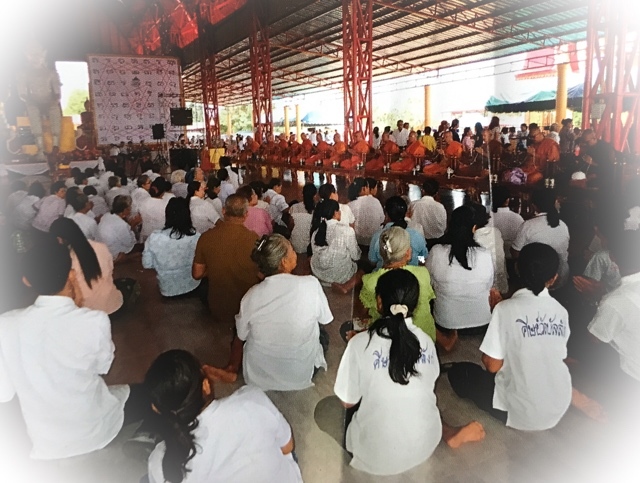 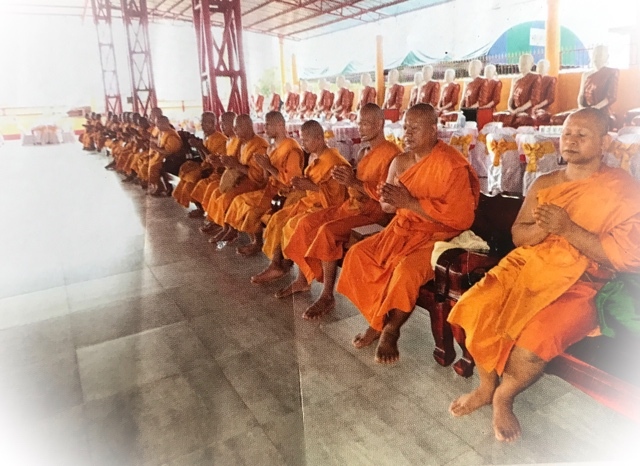 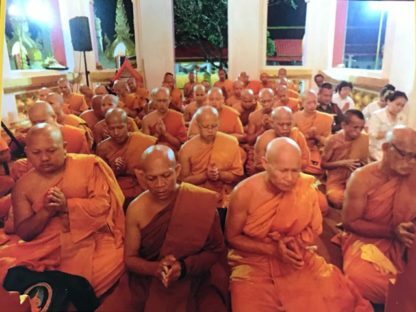 Each year, a festival is held in That Phanom to honor the temple. 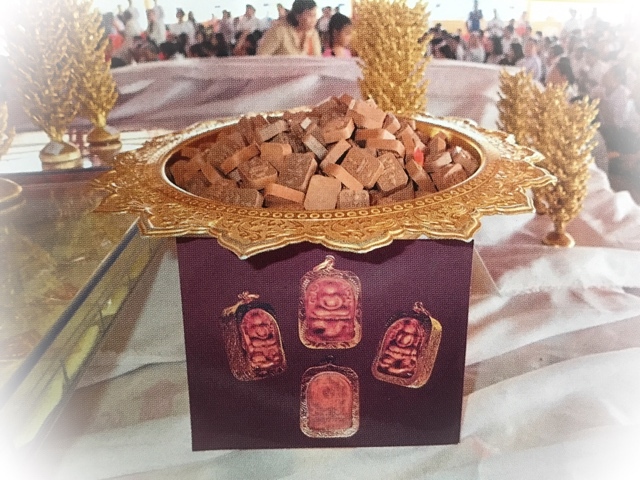 This festival lasts for one week, during which thousands of people make pilgrimages to honor the shrine. According to a Fine Arts Department marker on the site, it fell down in 1975, but was rebuilt with funds raised by public subscription, and from the government.